In today’s complicated financial landscape, everyone faces questions about money from time to time. 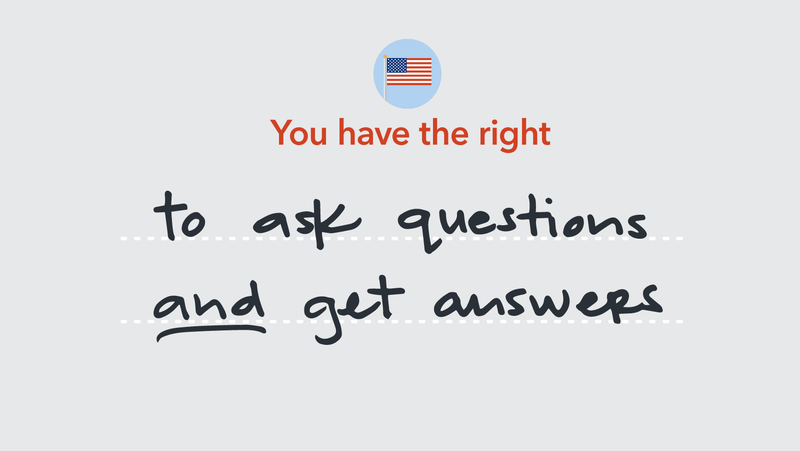 That’s why we created Ask CFPB: a source of clear, impartial answers to hundreds of financial questions. Ask CFPB covers a variety of topics including bank accounts, credit reports and scores, debt collection, student loans, and mortgages. In our “credit reports and scores” section, for example, you’ll find questions like, “How can I get and keep a good credit score?” The answer includes tips for building and maintaining good credit, as well as instructions for requesting a free copy of your credit report. For parents and caregivers, we have a section on families and money. This section includes questions like “How can I explain to my children where money comes from?” and “When's a good age to open a savings account for my child?” Children absorb a lot from watching adults earn, spend, save, and borrow, but you don’t have to be a money expert to be a good financial parent or caregiver. When you have questions, visit Ask CFPB to grab tips and information that best fit your situation. New financial questions face us at every stage of our life, and you should be able to get the information you need from someone you can trust. You have the right to ask questions and get answers so you can make informed choices to achieve your financial goals. We’d love to hear from you. If you have a question we haven’t answered, let us know. Ask CFPB is also available in Spanish.